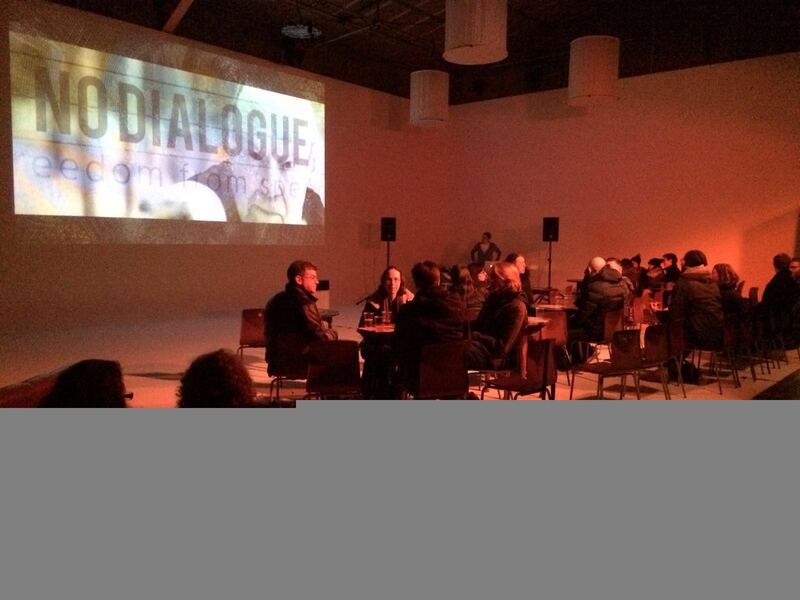 The world's only dialogue free film festival! 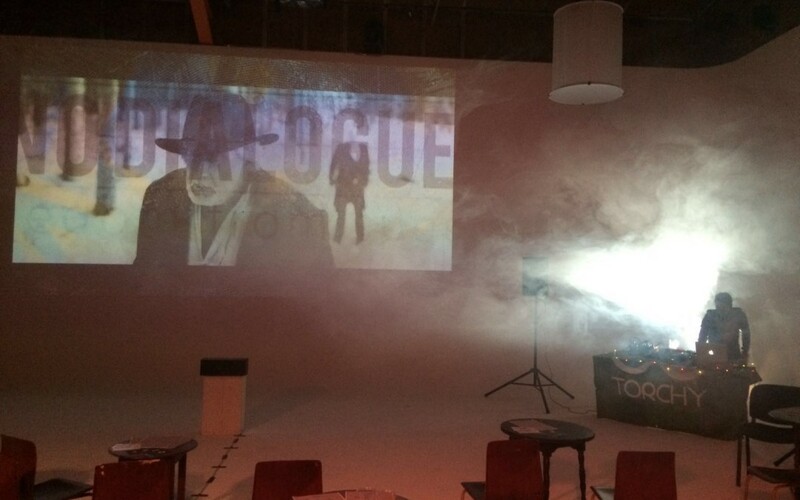 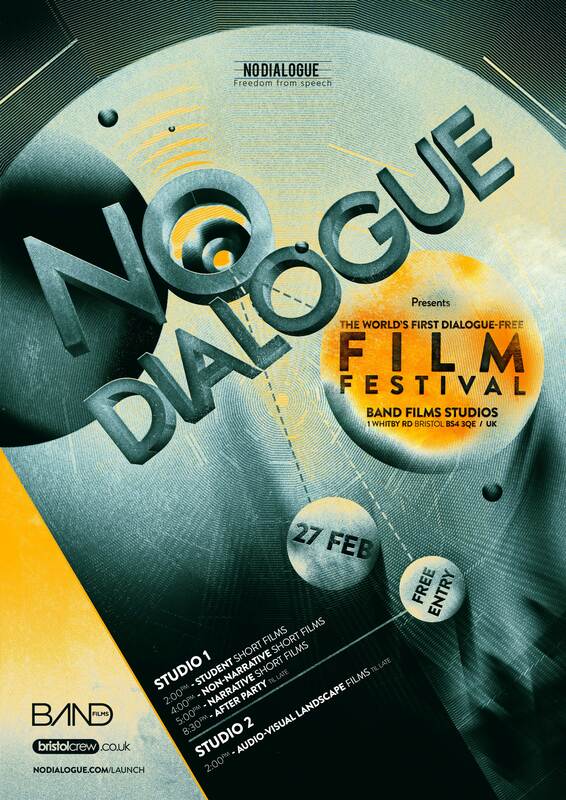 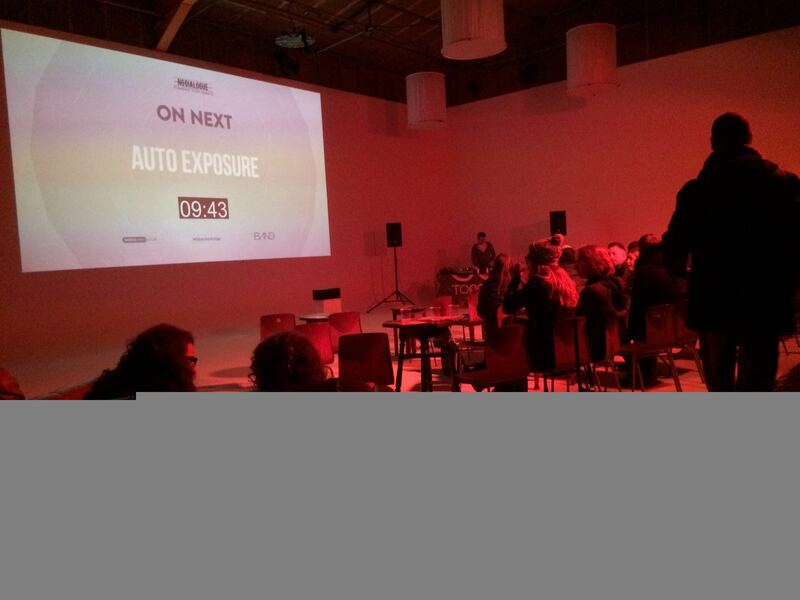 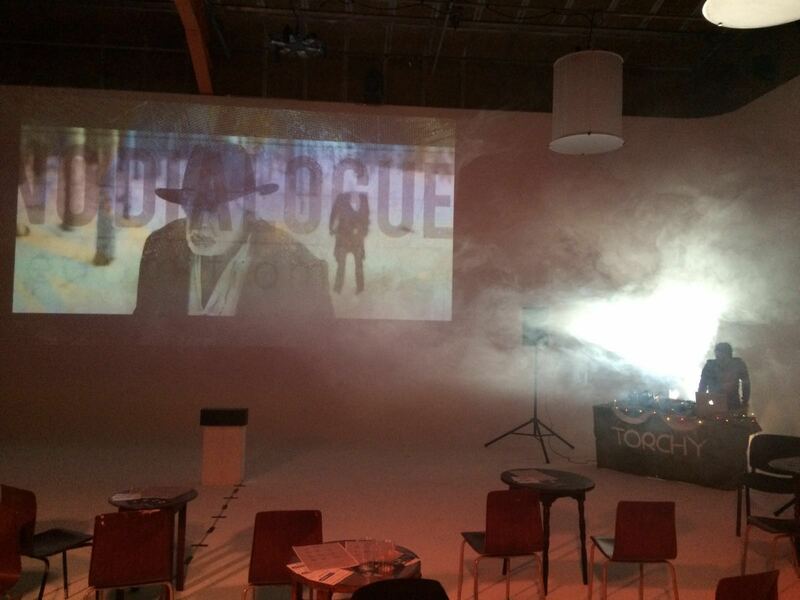 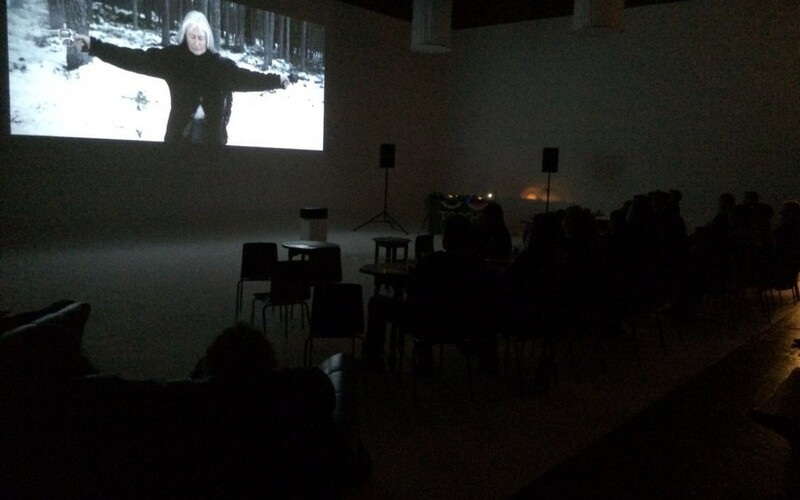 In Feb 27 2016 we held the inaugural No Dialogue Film Festival at Band Films Studios in Bristol. 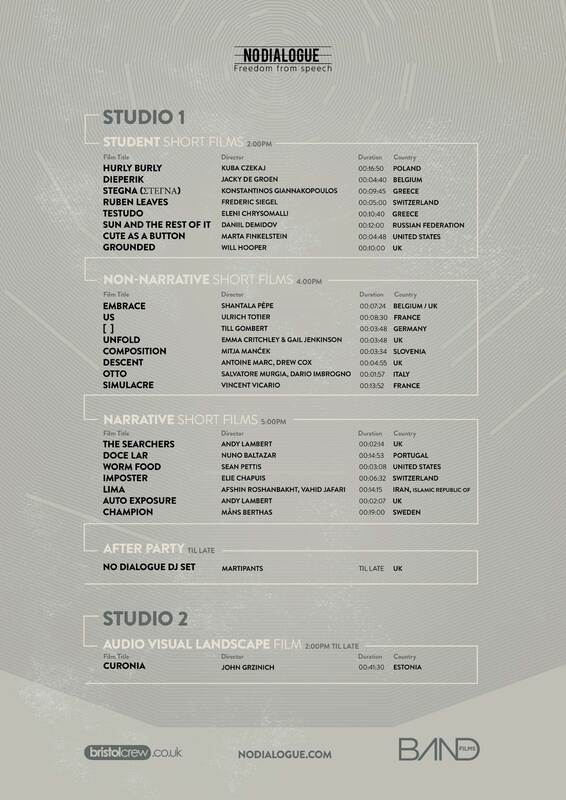 The 2017 festival is now open for submissions. 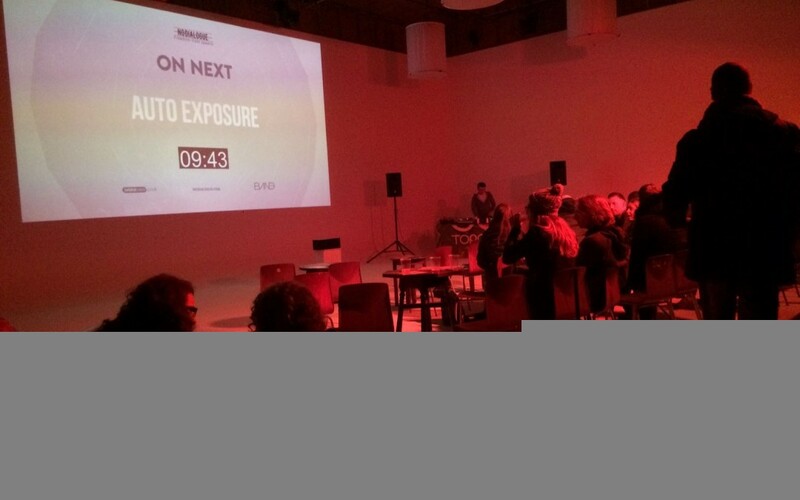 Submit your film using the FilmFreeway link subscribe below for more details on our events. 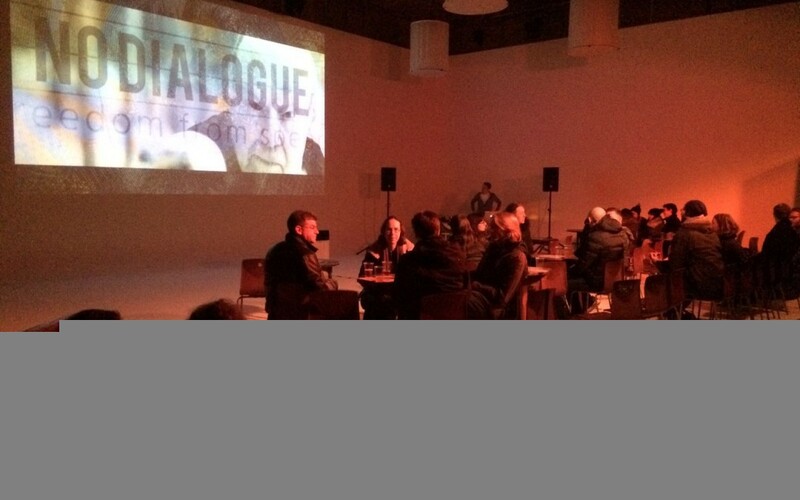 No Dialogue, Band Films and Bristol Crew held the world’s first dialogue-free film festival. 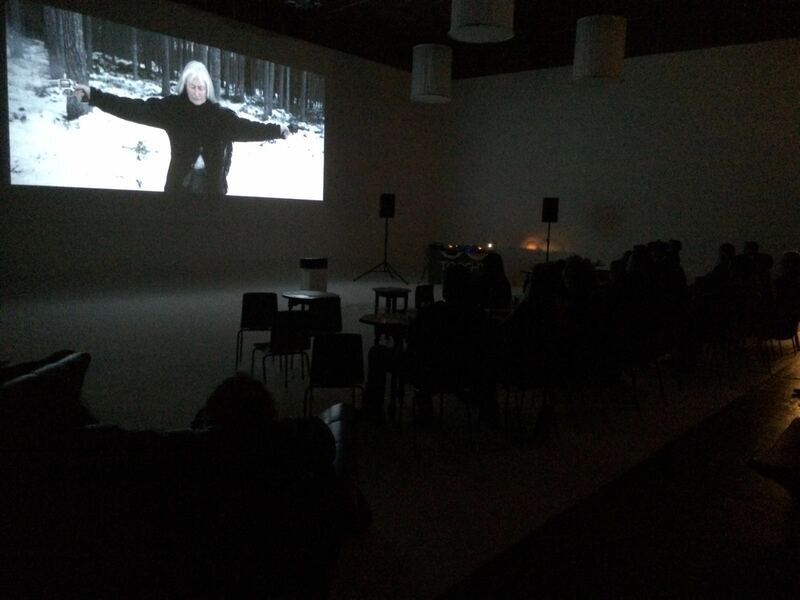 We had over 1000 films submitted from all over the world and 27 screened at Band Films studio in Bristol on Feb 27 2016.